Golf is coming back to the Summer Olympics for the first time since 1904, but many questions still remain as to what is the best formula for selecting players to participate. That notion, however, isn't likely to come true anytime soon. 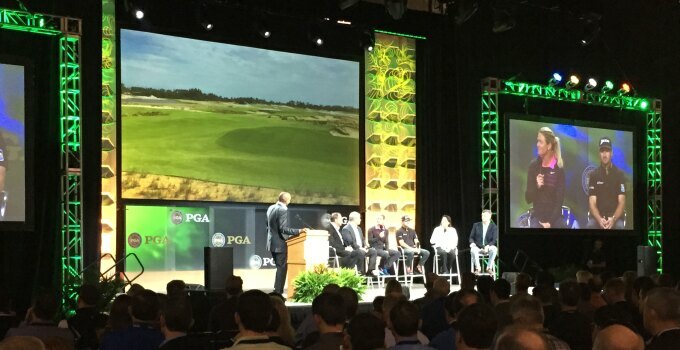 During an open forum on Wednesday at the PGA Show, Chief Executive of the R&A Peter Dawson shut the door on the thought that amateurs could be playing in the future. Sitting next to likely future Olympians Suzann Pettersen and Graeme McDowell, Dawson and PGA Tour Chief Marketing Officer Ty Votaw also shared that there is no logo or branding for the course and post-2016 management of the course will be turned over to the Brazilian Golfing Federation. “We’re just happy to have a golf course at this point,” course designer Gil Hanse said on the panel. As for how Olympic Golf will be perceived by the players, McDowell was hesitant to proclaim the future event as equal to the majors or Ryder Cup.